So I just finished chiseling the skid marks out of my underwear. 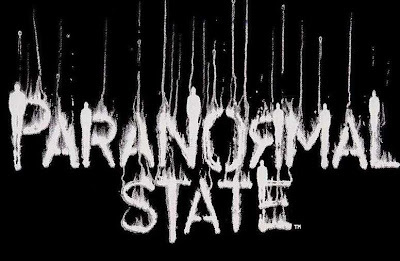 Who’s watching Paranormal State and, more importantly, who’s seen this weeks episode of the chick from Illinois who was possessed and needed an exorcism? Holy hell! I literally was awake for hours after watching Monday nights episode. So here’s the deal. This random 26 year old chick was being literally terrorized basically by Satan himself. She was almost drowned and raped (by a ghost) in her bathtub. She has things written on her. And finally she has convulsions when someone pours holy water on her. Half of these things are filmed. They say that people can do things that open up evil directly into their lives. Some say it can actually start by getting certain tattoos. This made me think. I don’t have any tattoos, but this blog is basically the portal to hell. And now I’m scared to death. While I’m a dude, I still don’t want to get raped in my bathtub by the ghost of Patsy Cline or something. I don’t know why I thought of her, but I did. I mean, maybe I’d go to second base with the ghost of Patsy Cline, but I’m not going all the way with her. I joke because I’m terrified. My favorite Psychic Kids psychic, Chip, was called to the house to see if he could feel or hear anything. Holy crap. Basically every room he went into all he heard was someone yelling obscenities at him. I assume in my case I’ll also be haunted by the ghost of Sam Kinison. Being yelled at by Sam Kinison and raped by Patsy Cline is not my idea of a good night. They then have to call in an actual priest to perform an exorcism on this chick that literally takes hours and hours and hours. The girls voice keeps changing and “the devil” tries to trick them all by pretending she’s really just a little girl. The whole time Chip keeps clutching his pearls and is like, “Girrrrrrrl” every two seconds. When Chip loses his cool, so do I. Can I remind you that all of this is filmed. It was the craziest thing to see. I’m pretty sure I peed twice. I’m kidding. 4 times. Finally the exorcism is over and the next day all is right with the world. You know how at the end they give you a quick update and it’s usually like “The family no longer is being visited by ghosts and can rest easy.” Yeah, not this time. This time they’re literally like, “The girl had a horrible reaction when holy water was poured on her and she has been taken to the hospital.” That’s it. WHAT!?! No happy ending?! Well let me tell you I was awake until about 2:30 in the morning thinking I was as good as dead. I didn’t want to be awake at 3:00 AM because that’s what Chip calls “Dead Time” in which the spirit world is most likely to show themselves to you. No thanks! Celebrity Duets Makes Me Nervous!